If you’ve been to any event that we’ve planned and made significant contributions to, you’ll see that there’s usually a theme, sometimes very obvious because it’s in every element of the event e.g. 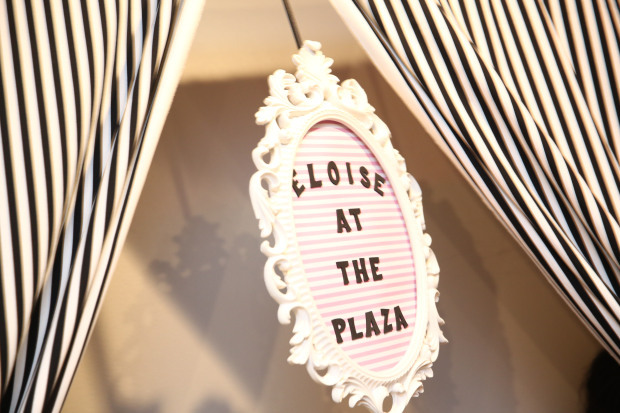 Eloise at the plaza baby shower and sometimes it’s very subtle and more of an approach than a theme e.g. elegant minimalism using white and silver everything e.g. 60th Birthday in South Africa. Some of the questions we get from clients are “What are the trends for this year?” or “What is considered modern? 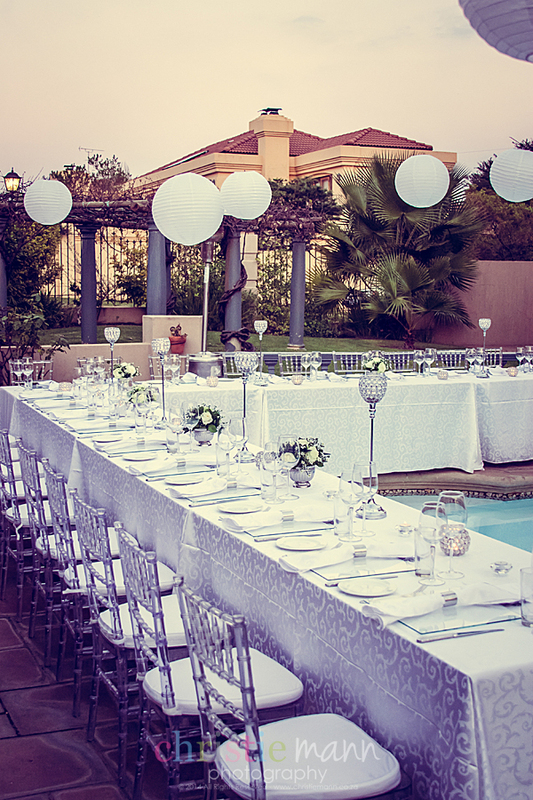 I don’t want my wedding to be looked at as old”, “What can I do that’s fresh and new?”, “What is timeless and will look great no matter how many years later I look at my wedding pictures?” Because of these questions, we’ve decided to outline some trends that we are seeing which could be great for your wedding to add that extra “oomph” and make your wedding the extra special event you want it to be all the way down to your wedding invites. 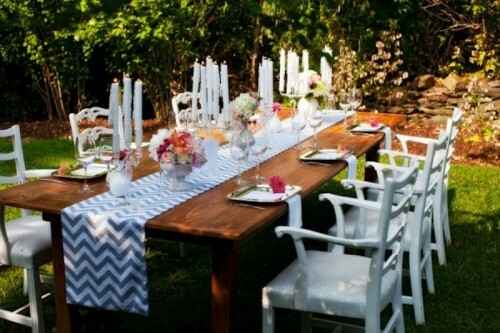 Incorporating wood – We are seeing lots of weddings incorporate wood into their décor. 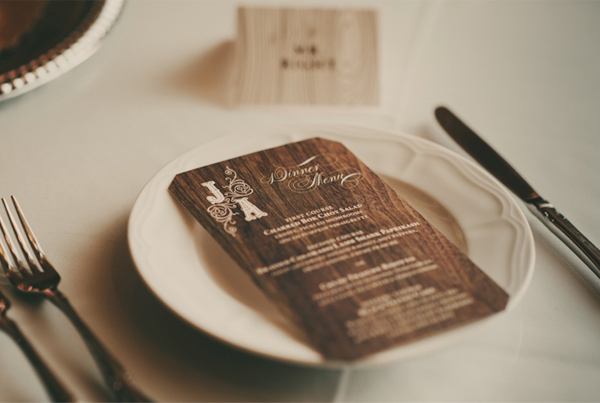 From menu cards to place cards to invitations. 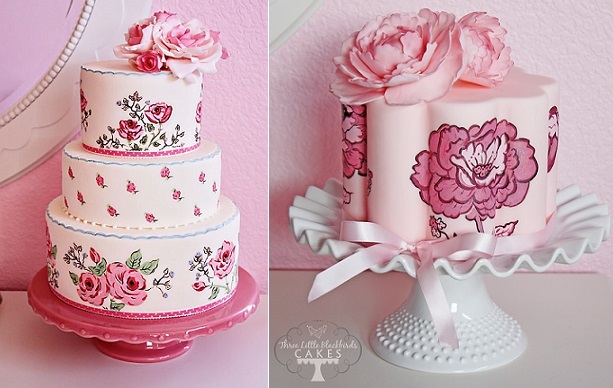 Painted cakes – Hand painted cakes are all the rage now!! And we think they are absolutely beautiful! Table runners – For a while some brides thought it unfashionable to use table runners but table runners are back in a good way. 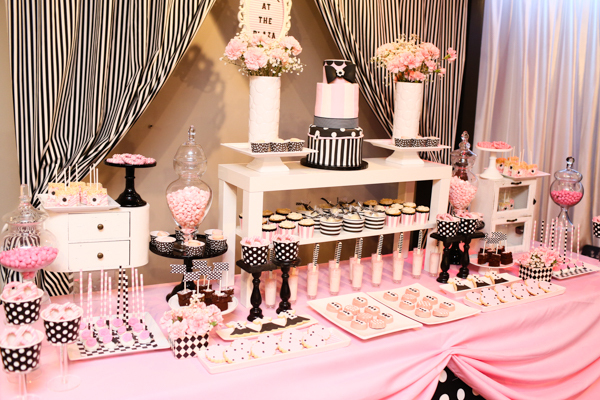 We are seeing everything from lace to stripes to polka dots and they are making weddings look lovely. 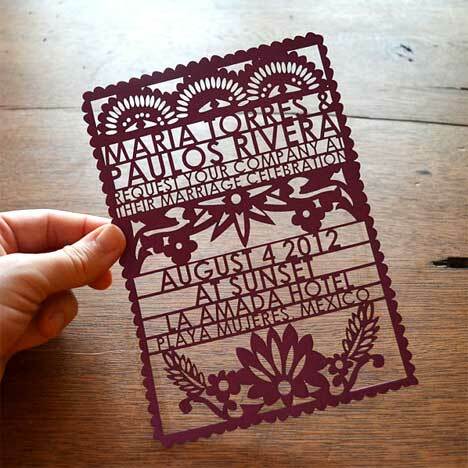 Laser cut everything – Similar to wood, we are also seeing place cards, menu cards, invitations which are laser cut. Mismatched bridesmaid dresses – Once a No No, brides are moving one step further from different colored bridesmaid dresses in the same style to bridesmaid dresses in completely different styles.